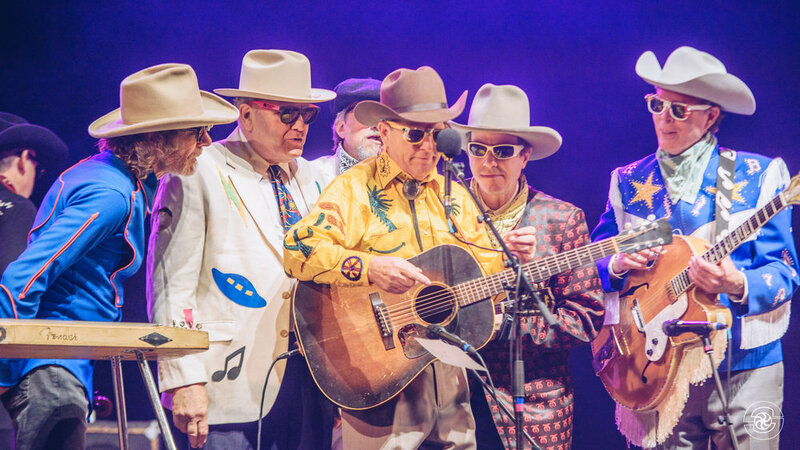 Their original songs are part of the bluegrass canon, their showmanship earned them the first-ever Entertainer of the Year award from the IBMA, and their “partnership” with Red Knuckles and the Trailblazers is… nearly indescribable. Want to stay up to date with all things Hot Rize? 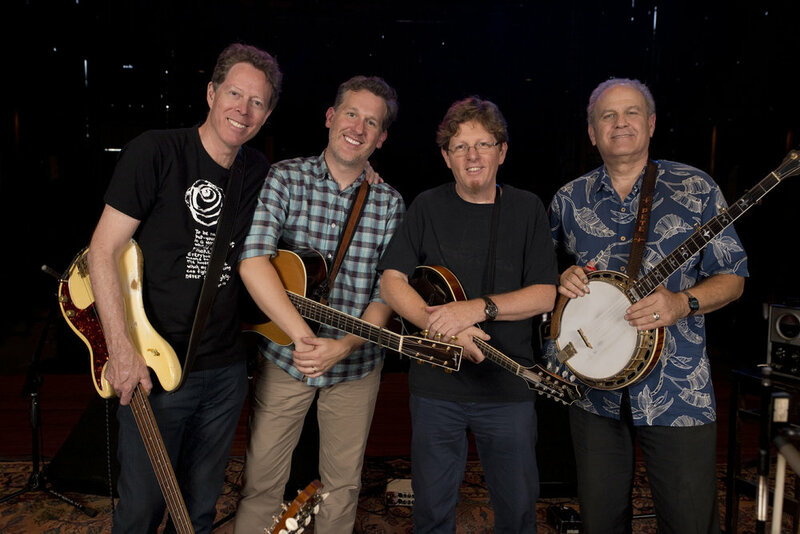 In 1978, when Pete Wernick, Tim O’Brien, Nick Forster and Charles Sawtelle came together as a band, their chemistry soon generated an exciting and soulful new style of bluegrass, showcasing their formidable talents as instrumentalists, songwriters, and innovators. 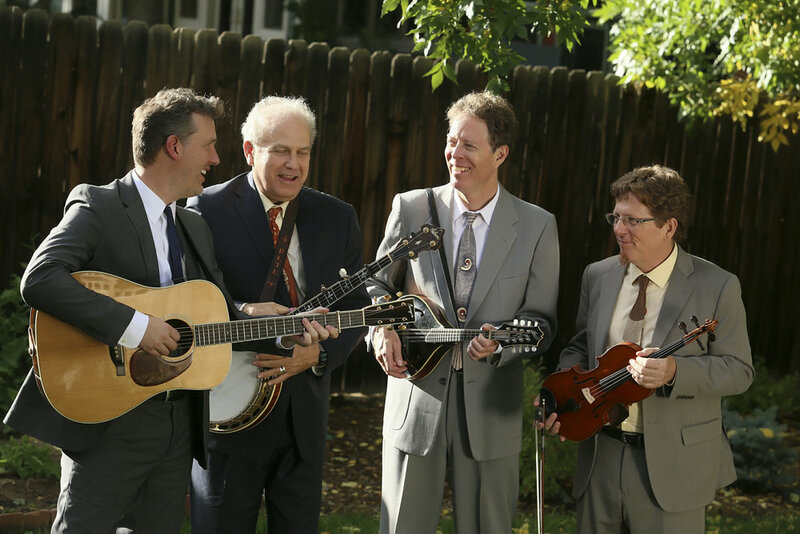 Grounded in the bluegrass traditions of artists like Bill Monroe, Flatt & Scruggs, and the Stanley Brothers, their musical tastes embraced other American roots pathways as well. 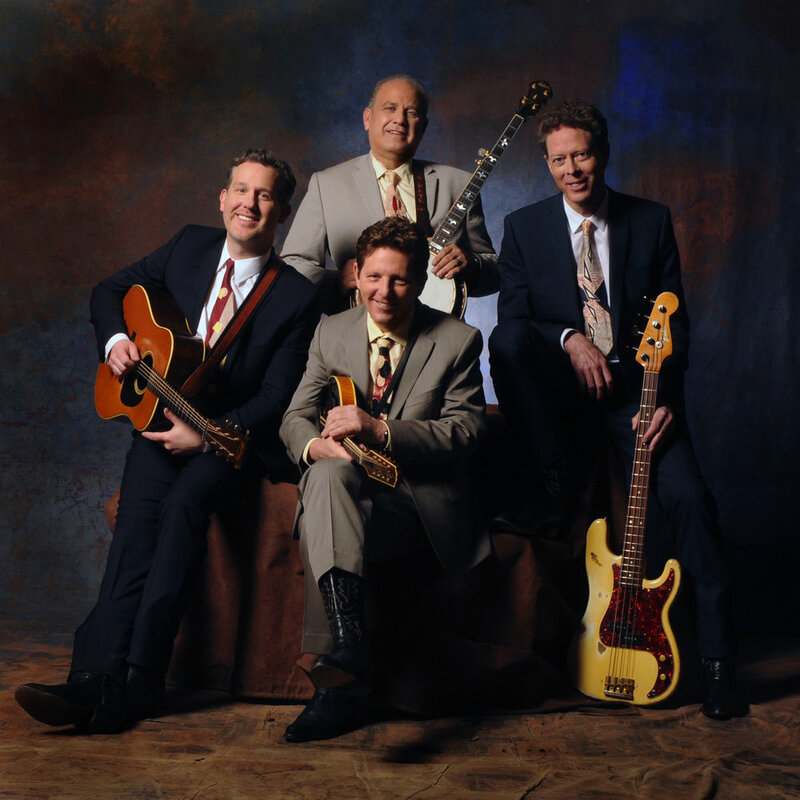 Honing their sound in Colorado bars and small concerts, they were soon appearing on Prairie Home Companion, the Telluride Bluegrass Festival, the Grand Ole Opry, and European tours. 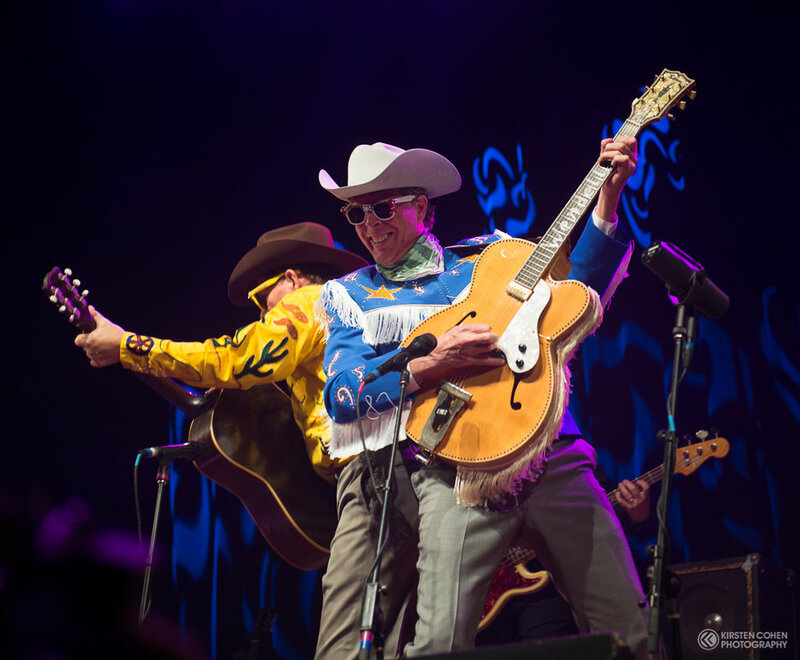 The world was ready for Hot Rize — and forty years later Hot Rize has left its unmistakable mark.